After it's year and a half in the sun in and around the festival circuit it's finally time to put my short film online. 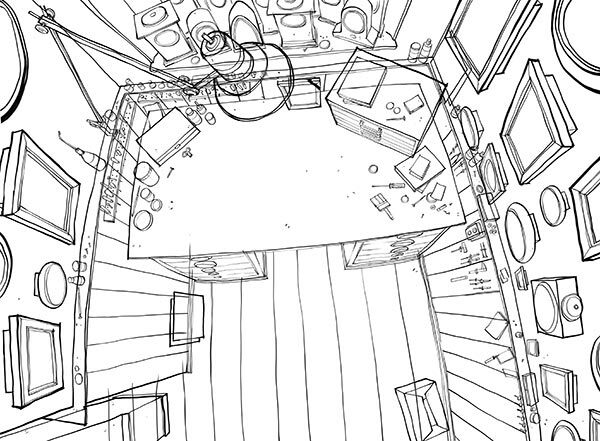 So here it is: 9.5 minutes in full! Hope you enjoy. Ticking Away has had a nice festival run over the last two years. 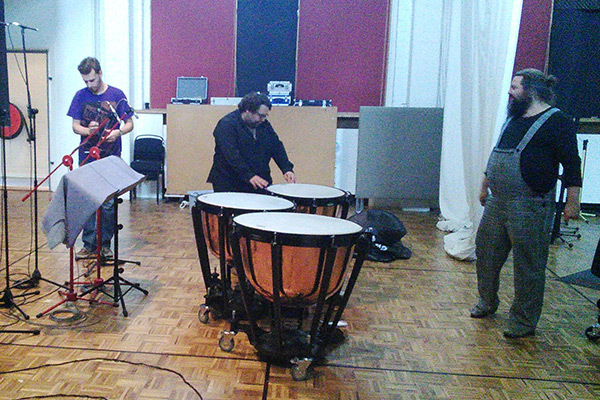 We are preparing it now for an online release for everyone to see. Though it was made for viewing in a cinema theatre, it'll be nice to have it online for everyone to enjoy. 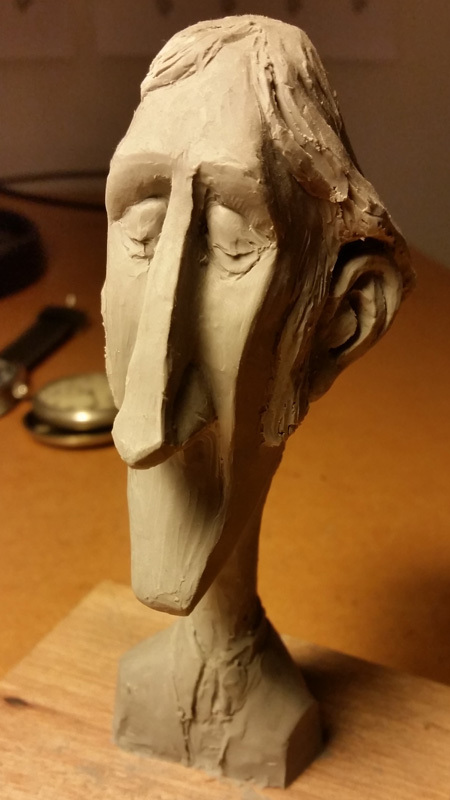 BEST ANIMATION at the Shortcutz Amsterdam Annual Awards! 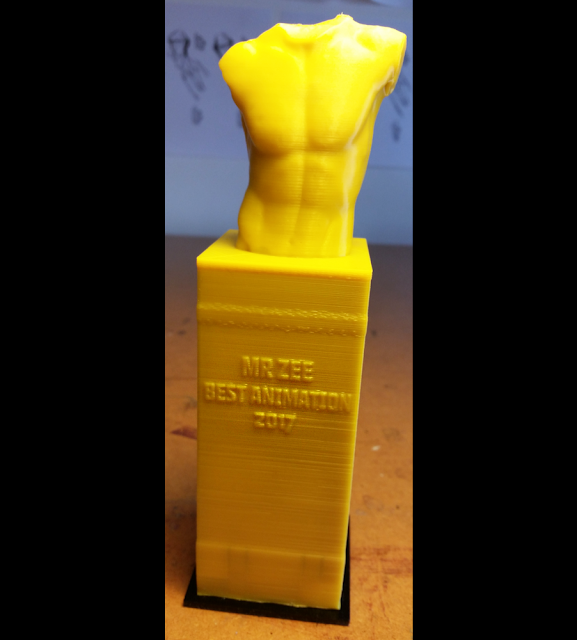 Ticking Away won Best Animation at the Shortcuts Amsterdam Annual Awards!! 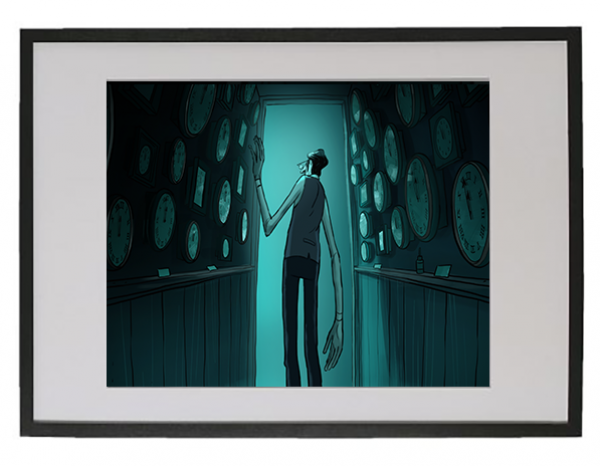 Nominated for Best Animation at Santa Monica's Zamoxis Short Film Showcase! 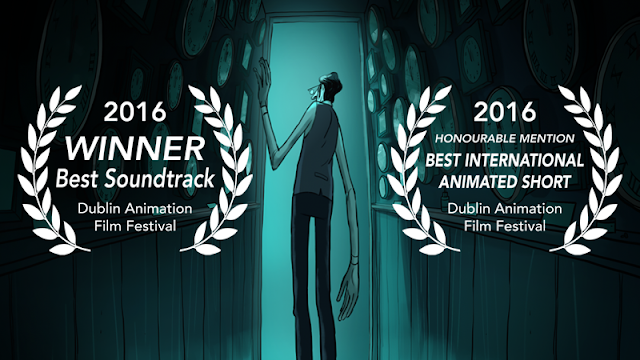 Winner & Honourable Mention at Dublin Animation Film Festival! Ticking Away did not go unnoticed at the Dublin Animation Film Festival! We're so happy about this! ShortCutz Amsterdam winner of the month! Whoop whoop! 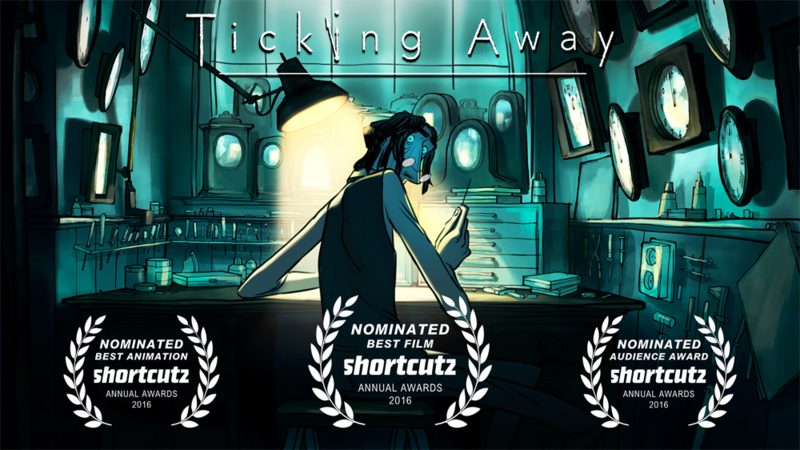 Ticking Away is winner of the month at ShortCutz Amsterdam and NOMINATED FOR BEST FILM at the 4th Shortcutz Amsterdam Annual Awards. 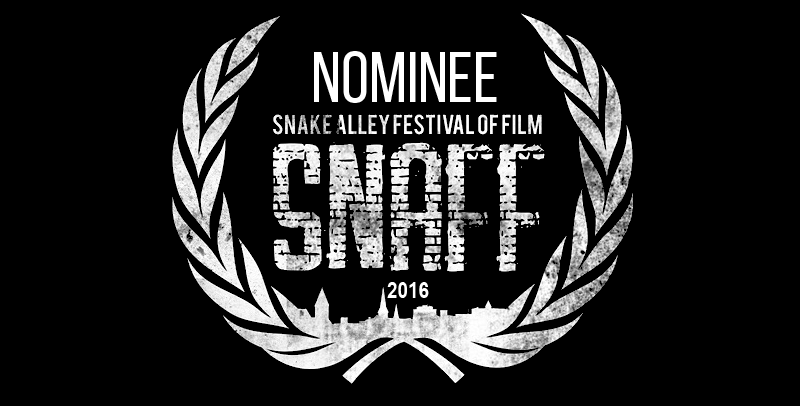 That's our THIRD nomination after HAFF MovieZone and Snake Alley Festival of Film! Next stop; the finals in EYE on January 23rd! We're very pleased and absolutely honored to be selected for the competition of Encounters Film and Animation Festival 2016 in Bristol, the UK’s leading short film and animation festival! "This programme lifts the lid on aspects of medical, emotional and other psychological conditions. Memory, ageing and perception are explored in this spectacular array of films." Hurray!! Ticking Away was nominated for "Best Animation Short" at the Snake Alley Festival of Film 2016! 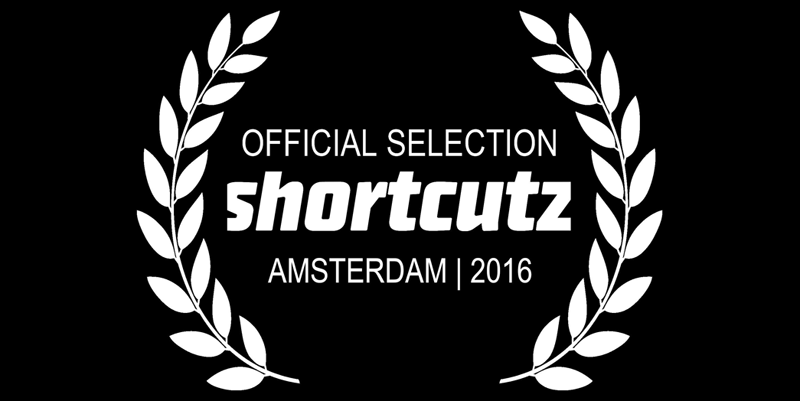 We have been selected for the ShortCutz festival. On June 7th, 20:00 we will be screening and 'Q and A'd' at Sociëteit de Kring at the Leidseplein in Amsterdam. At the Holland Animation Film Festival 2016 we were nominated for a MovieZone HAFF Award. 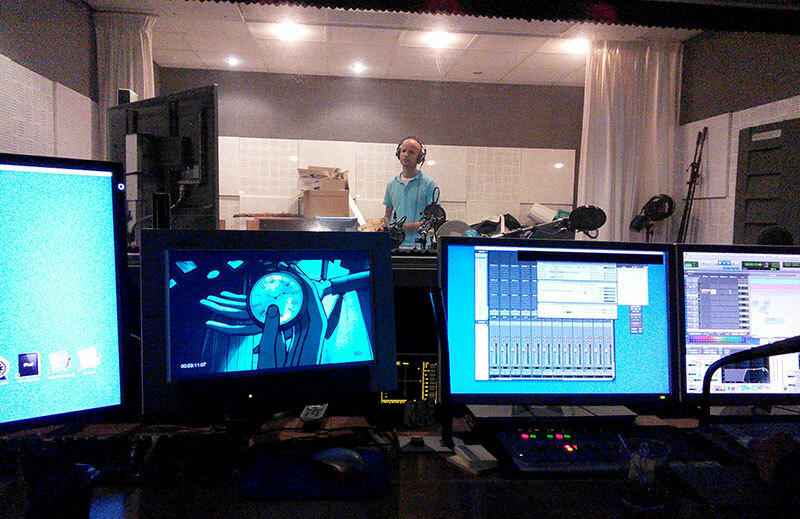 Michael Minneboo did an interview with me for a special edition of the VPRO TV guide (a dutch broadcaster) dedicated to the Holland Animation Film Festival 2016. 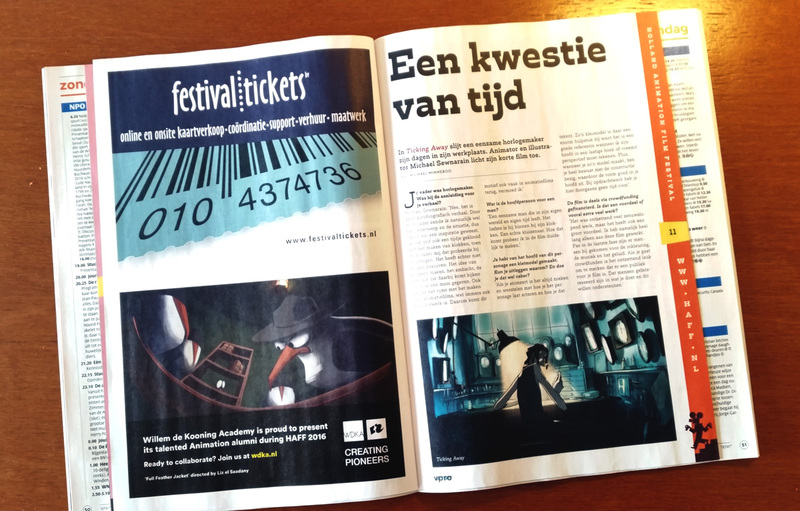 You can read the interview here (in Dutch). 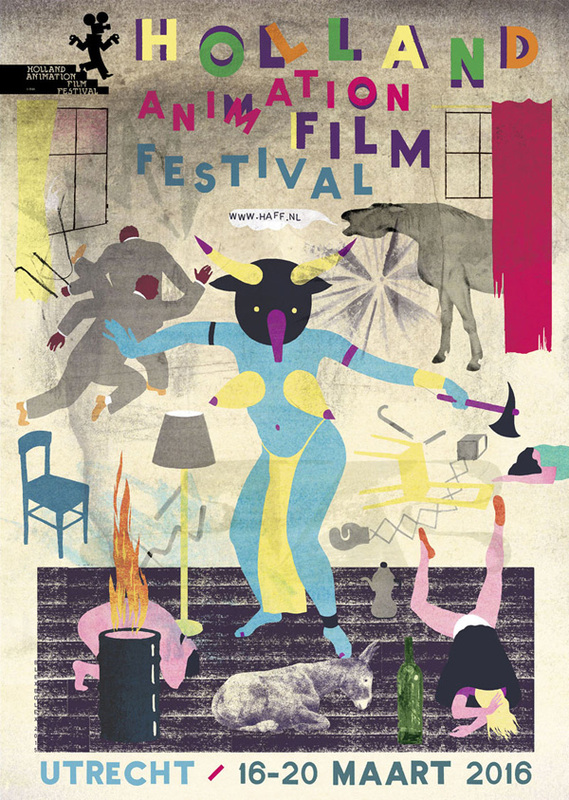 The Holland Animation Film Festival 2016 will be held from the 16th to (and including) the 20th of March in Utrecht. Ticking Away will be having it's world premiere at this festival. Here are the screening dates and veneus for our film. We have been selected for the National as well as the International Competition programs AND our film will be among the selection in the opening night program, screening what the HAFF considers to be the highlights of the festival! We are very honored to have our film welcomed so warmly into the festival circuit. And here's the trailer for our film! 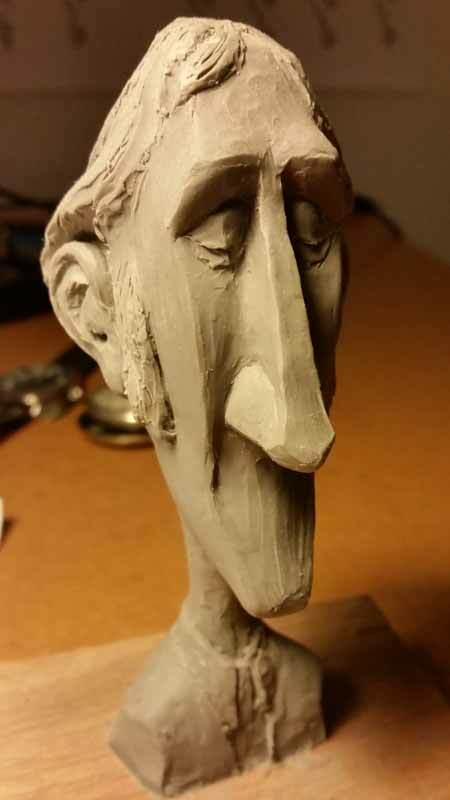 Great news, the Holland Animation Film Festival in Utrecht has selected our film for their 2016 edition! We are very honored that they wil be hosting the world premier! Ticking Away will run in both the national AND the international competition. 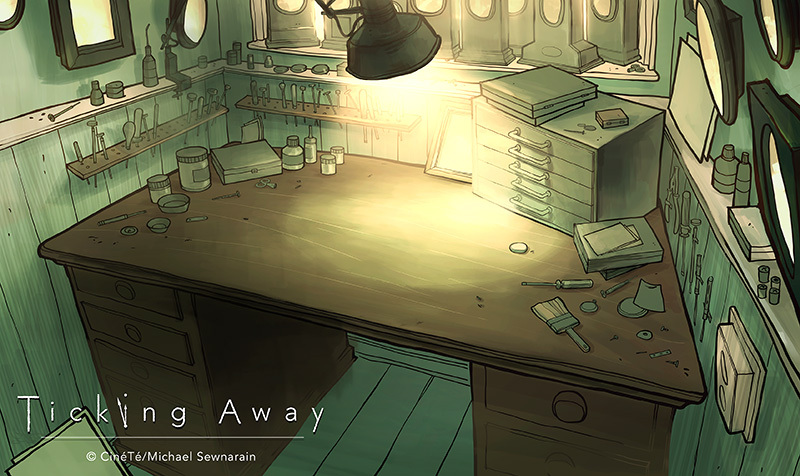 Michael Sewnarain is an animation filmmaker, story-artist and illustrator with a field experience of over twenty years. His short film 'Rain' (2005) was selected and shown on many international film festivals. Apart from developing and working on his own film ideas, he regularly collaborates on commercial productions, television specials and feature films. Working with internationally renowned directors like Joanna Quinn, Peter Dodd and Piet Kroon. 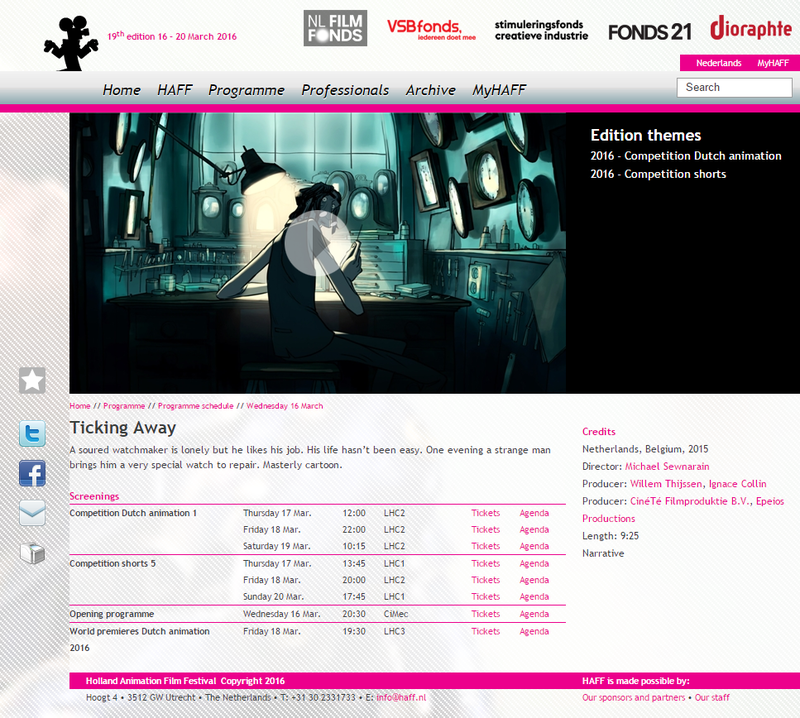 Ticking Away is also selected for the competition Dutch animation." See where they say the result is 'breathtaking'...? Makes us very proud! We've lifted some stills from the film for festival and promotional purposes. Hopefully it'll help to get us selected. And to get some pants (and skirts) in those cinema seats. 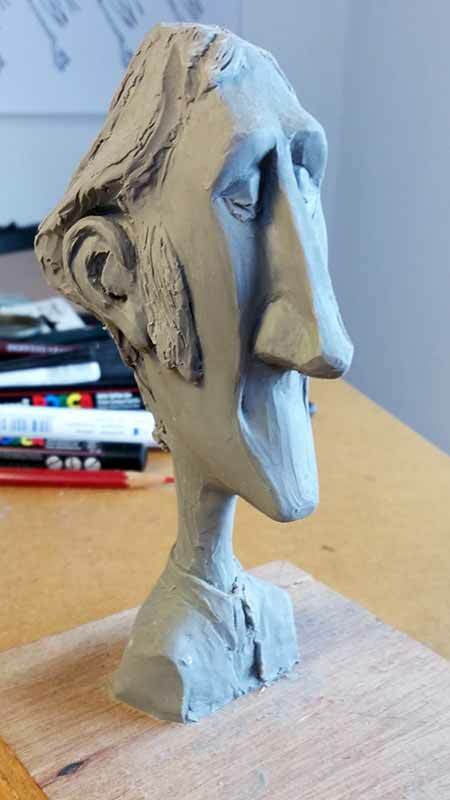 Here's a little bust of my main character that I modeled long ago. 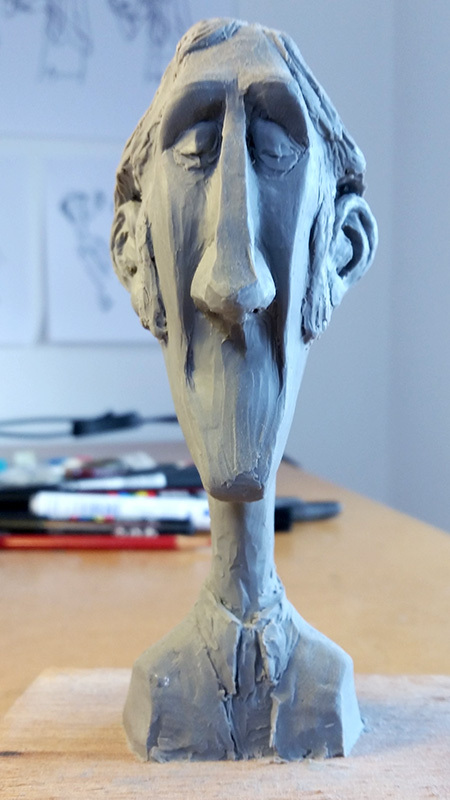 It's quite rough but it helped me better understand the structure of his head. 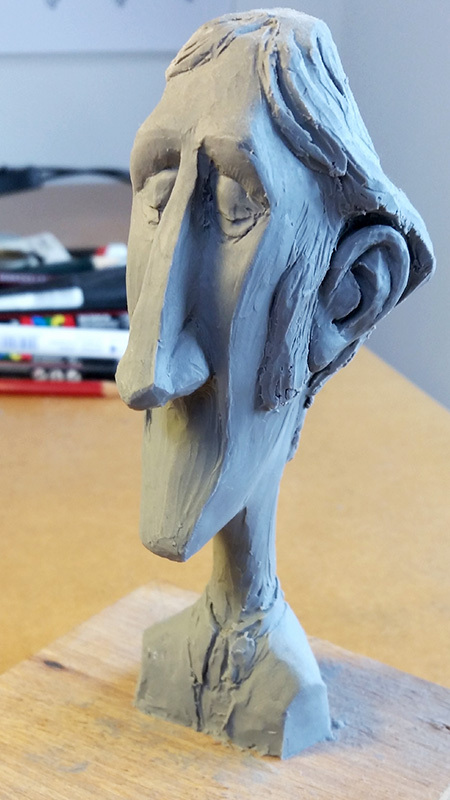 During production, while I was animating, I kept it within reach for reference, and when I happened to loose track of his structure, volumes and proportions this little fella helped me out quite a lot. 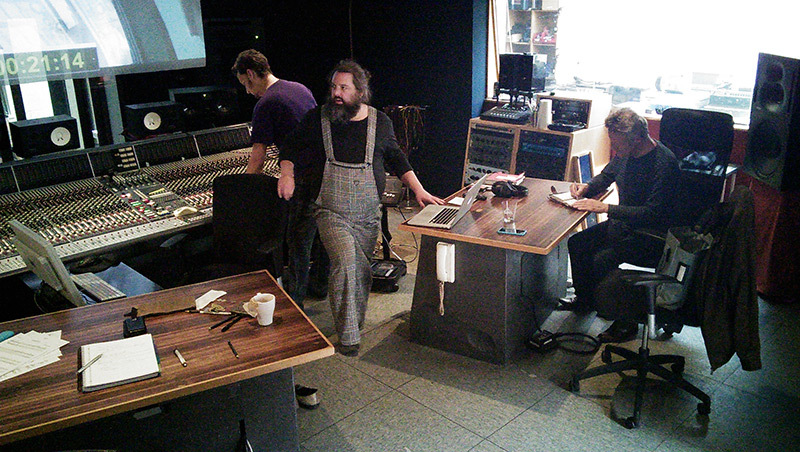 After recording and mixing our musical score at Studio Dada in Brussels we did the foley recording and final soundmix at Bob Kommer Studio's in The Hague. 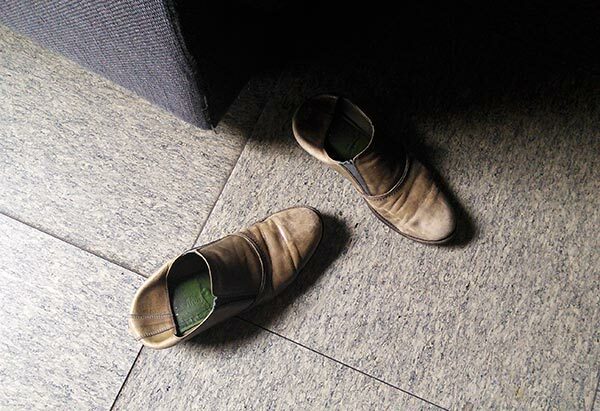 Foley recording is the art of adding sound effects to the film by creating those sounds, using everyday objects, during a live studio recording. 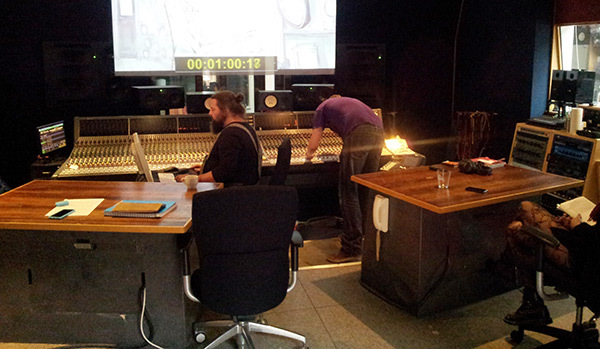 Here's Jeroen, creating every squeak, crack and whistle for our film. 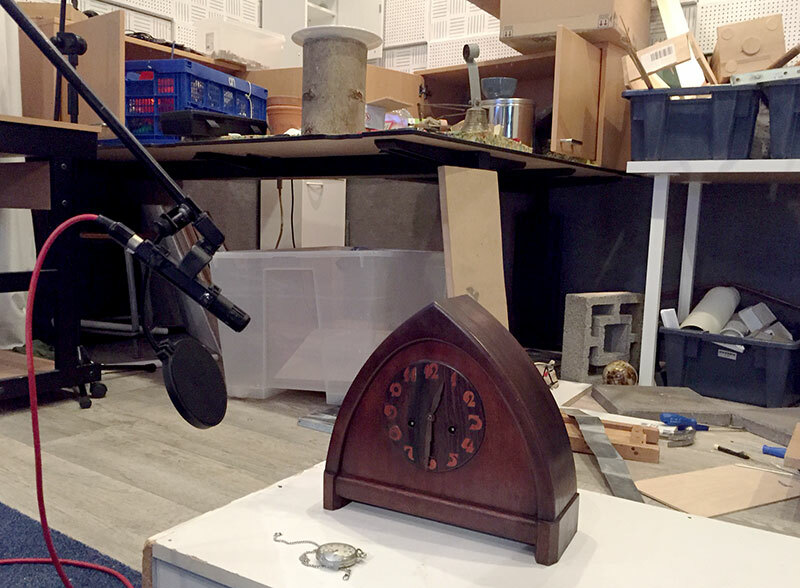 Robin brought his parent's antique pendule so we could record the right tone and resonance of an old wooden grandfather clock. In front of that is my old pocketwatch. Long broken but perfectly suitable for these purposes (and no, we didn't smash them). After that we created our final soundmix, sculpting a perfect 5.1 surround track for cinema screens as well as a stereomix for smaller festivals and venues. The fact is it's been crazy busy in the last stages of production. Finishing up all the visuals, coloring animation, correcting, recoloring, sound FX and foley recording and mixing took it's due toll. But it's 99,9% done! Almost there! 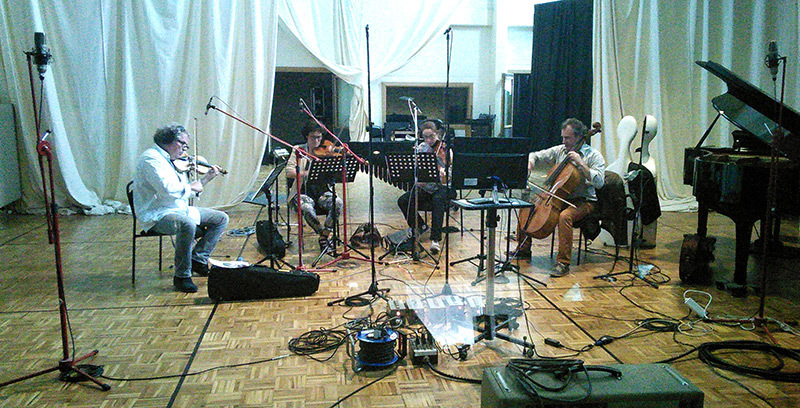 In June, shortly after my session with the composer Reinhard Vanbergen, we went to Studio Dada in Brussels to record the music with a chamber orchestra complemented with additional percussion. 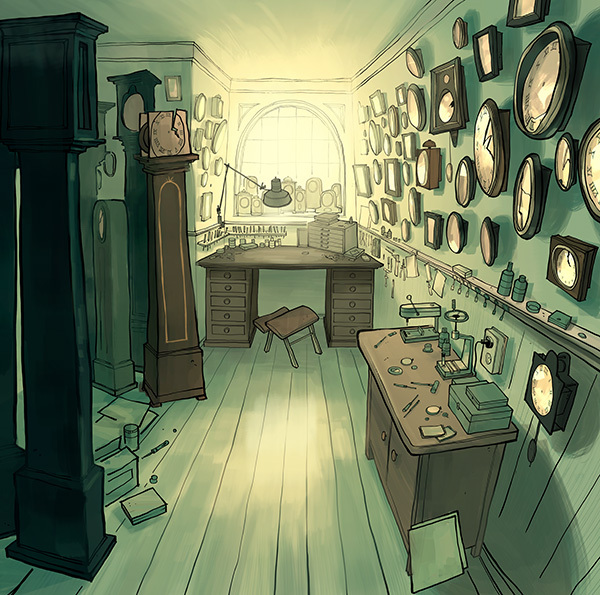 Just the right amount of musical instruments for an intimate story like Ticking Away. It was a nice adventure and a great privilege to have had these tremendously talented professionals performing just for us. 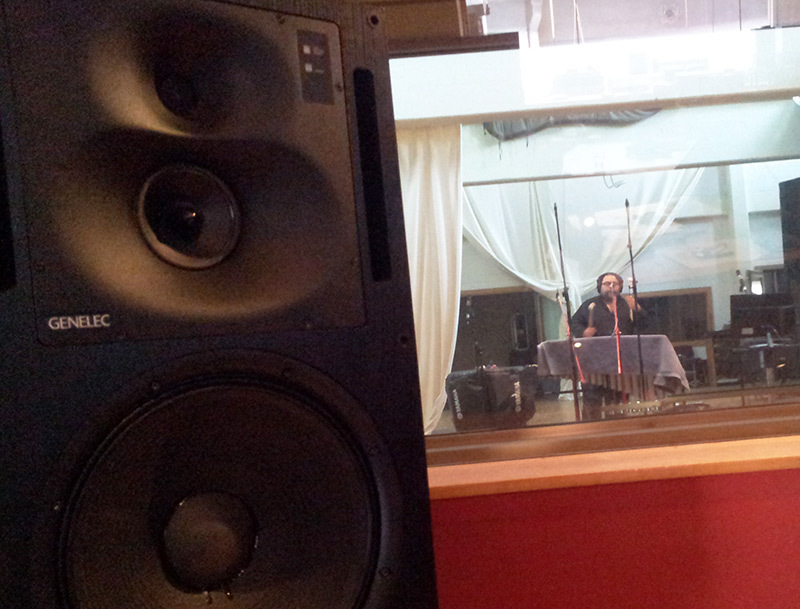 Reinhard Vanbergen getting ready for our day-long recording session. 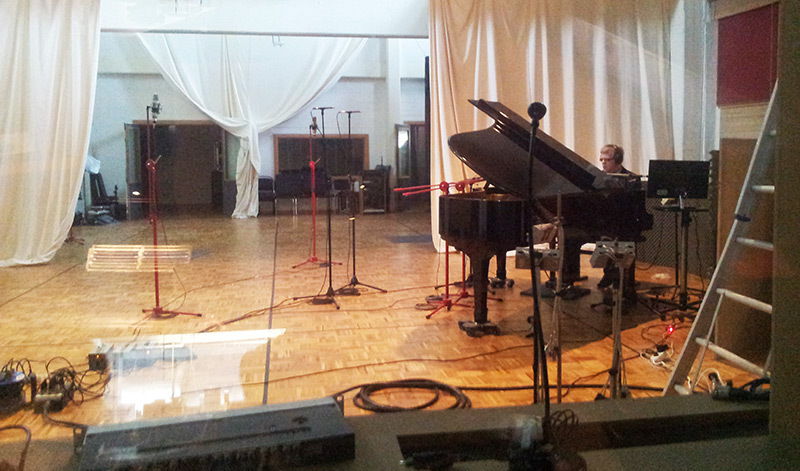 Geert Calleart on the piano. 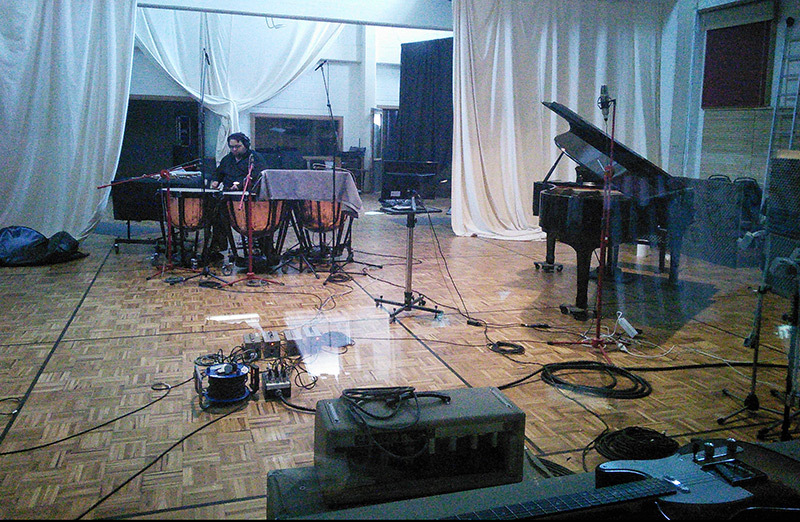 Gaetan La Mela working the vibraphone. Gaetan brings out the big guys! All is cool at mission control. 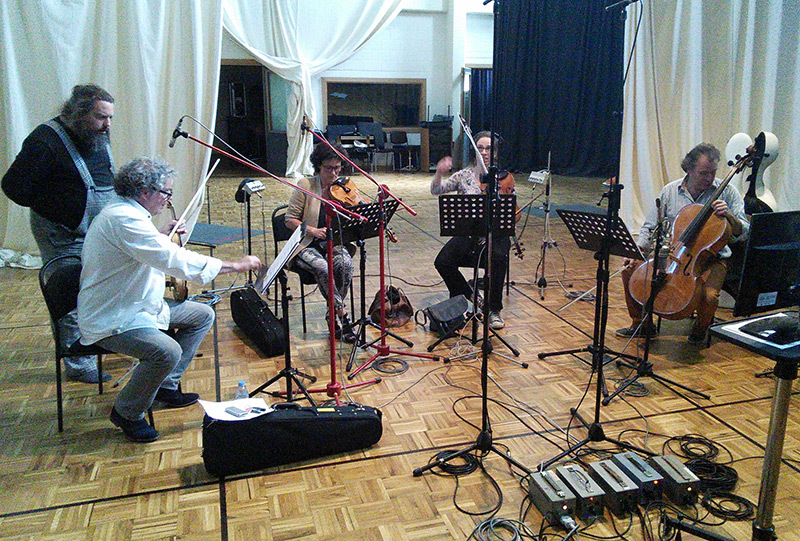 Our string quartet getting ready. From left to right: Mark Steylaerts, Veronique Gillis, Katelijne Onsia and Karel Steylearts. End of day. 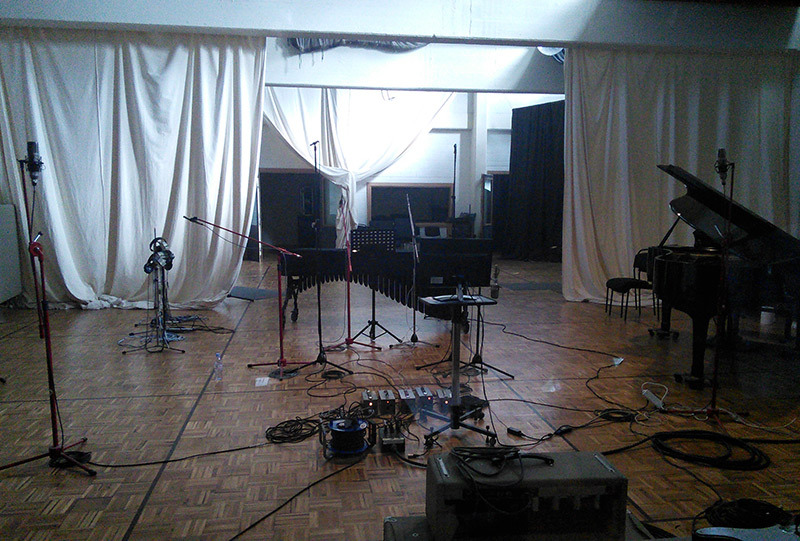 An abandoned music studio is a melancholy sight. 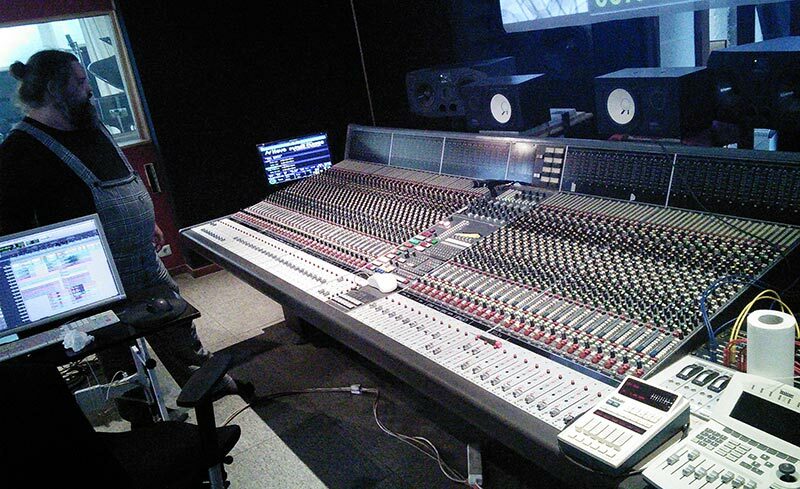 Reinhard Vanbergen getting comfortable for an evening of mixing. Button, buttons! Don't push the red one! And now it's official! We made it, thanks to YOU! Thank you so much to everyone who helped us get the message around. And to all the funders. The were a couple of very generous anonymous ones; thank you guys, I have no way of knowing who you are but I'm very grateful. 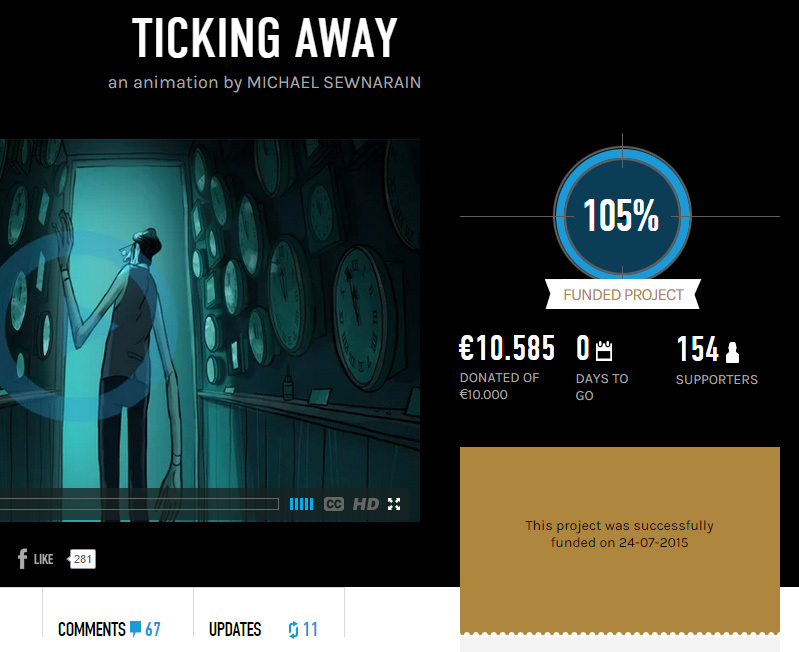 Go check out our rewards on http://cinecrowd.com/ticking-away and help us reach our goal! Here are some full-color background paintings for Ticking Away. Colored by Brun Croes. 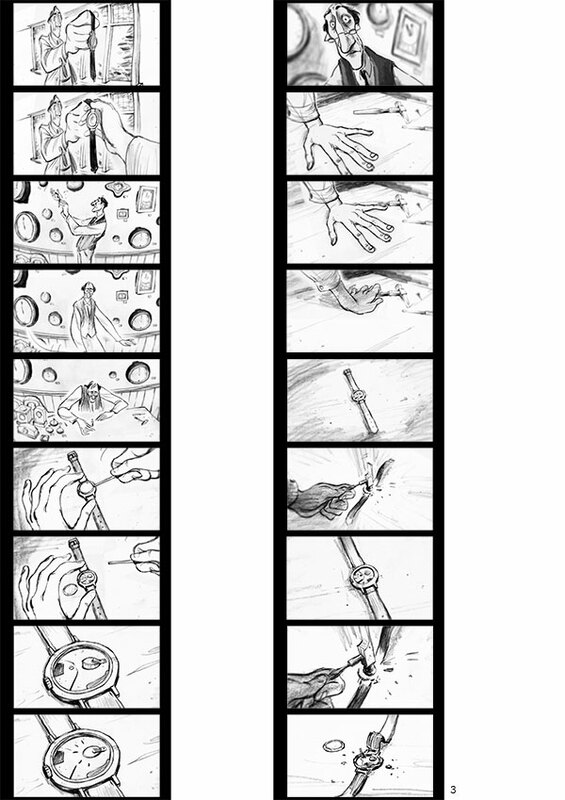 To keep things going; here's some rough animation, followed by cleanups. 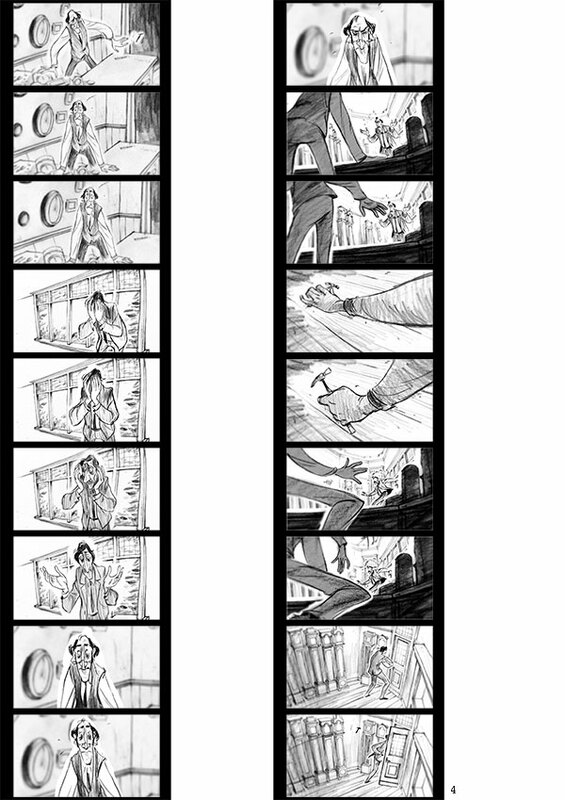 If you like it, you can give us a hand in completing the film. Here's some more artwork. 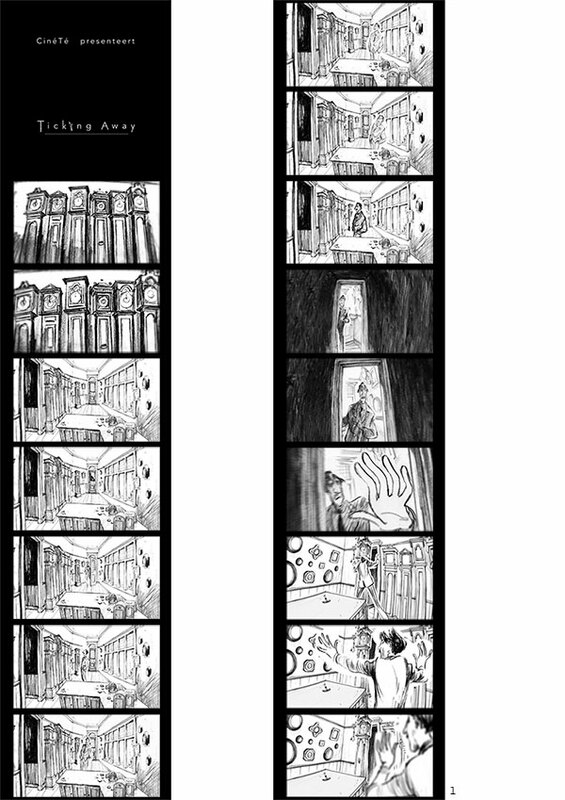 These are the B/W layouts drawings for the animation scenes. 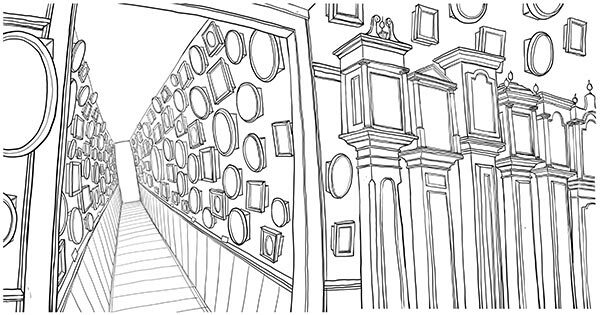 Eventually they were colored in by Brun Croes. 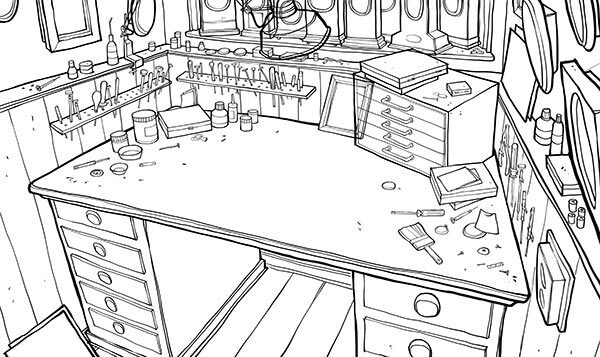 (I'll post some of those colored BG's later.) 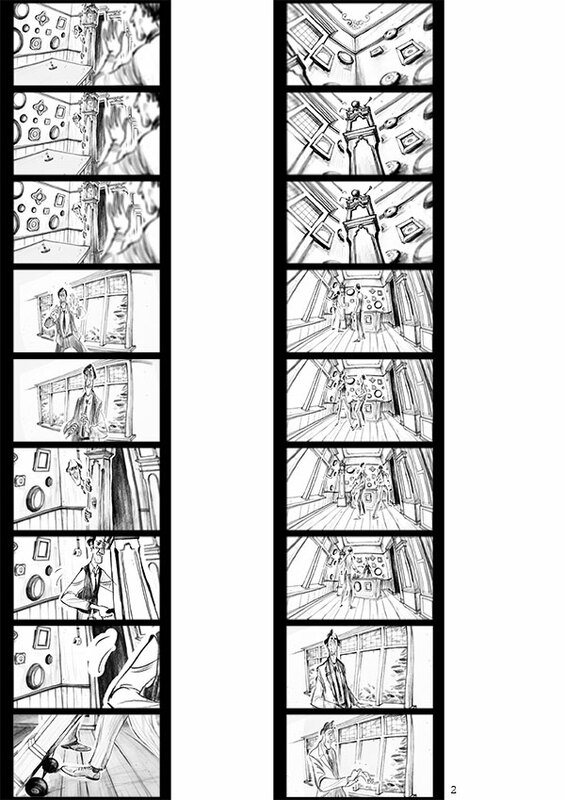 A fair portion of these will be included in the 'Making Of' book, btw. And please don't forget to donate if you can! Help us finish this thing, we only have 16 days left and that's not a lot. 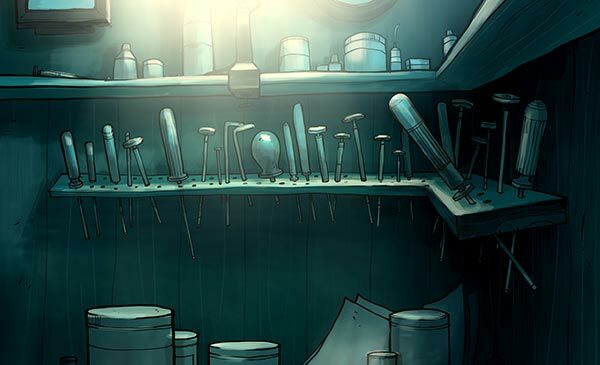 Curious about the rewards we offer for our crowdfunding campaign? 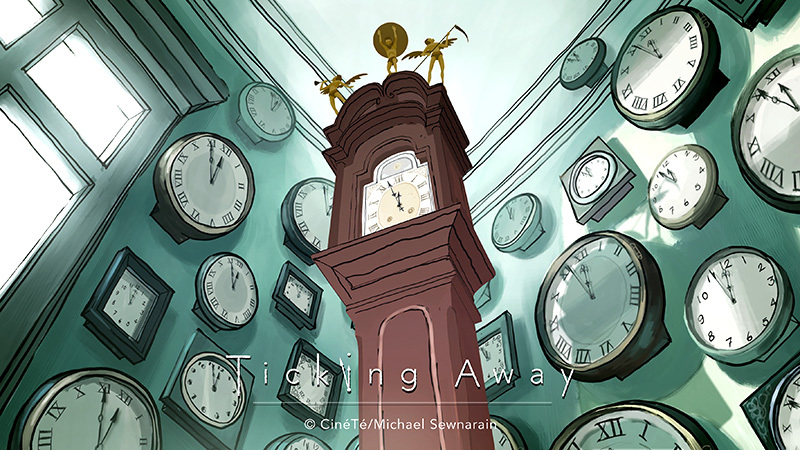 One of them is the “Making of Ticking Away” hardcover book. 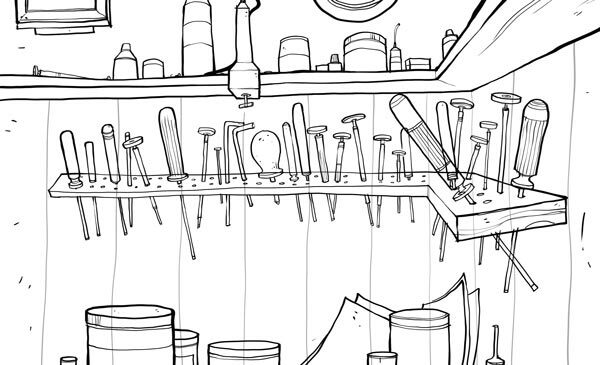 An inside look at what is needed when making an animated film. 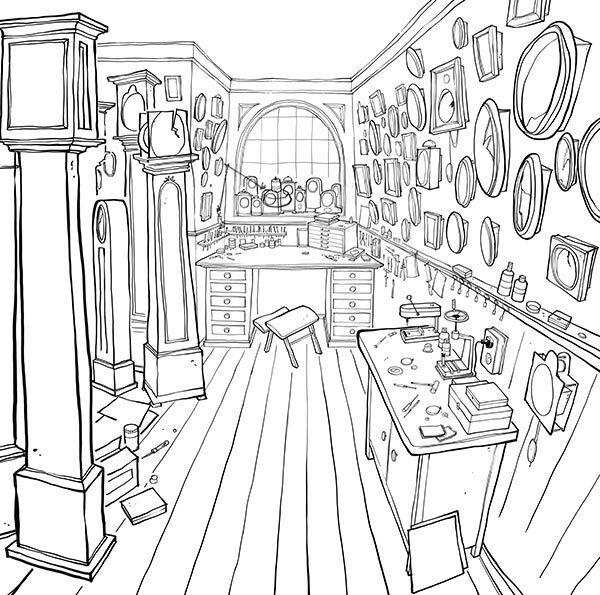 It will include the complete storyboard, layout drawings, development sketches and background paintings. 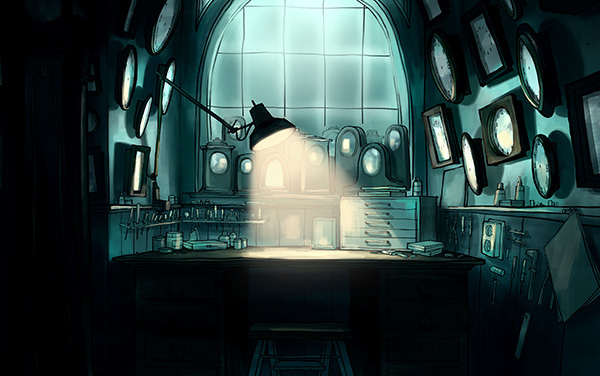 Also included is behind the scenes information about the development of the film. 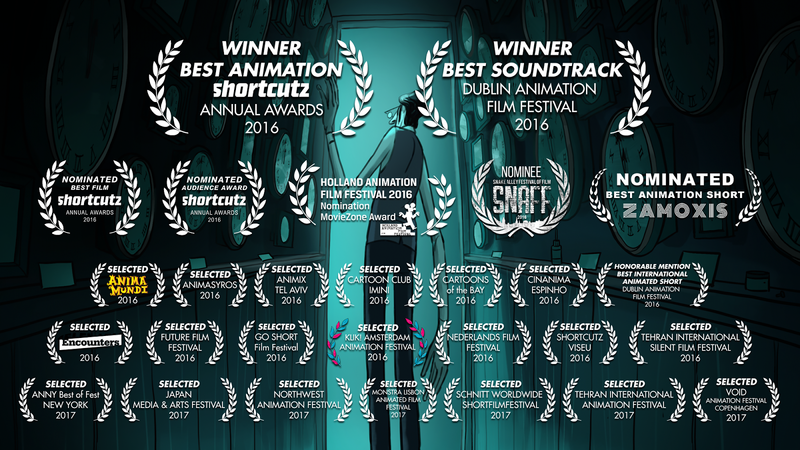 Holland Animation Film Festival 2016 - NOMINATED for "MovieZone Award"
ShortCutz Amsterdam 2016 - NOMINATED for "Best Film", "Best Animation and "Audience Award". 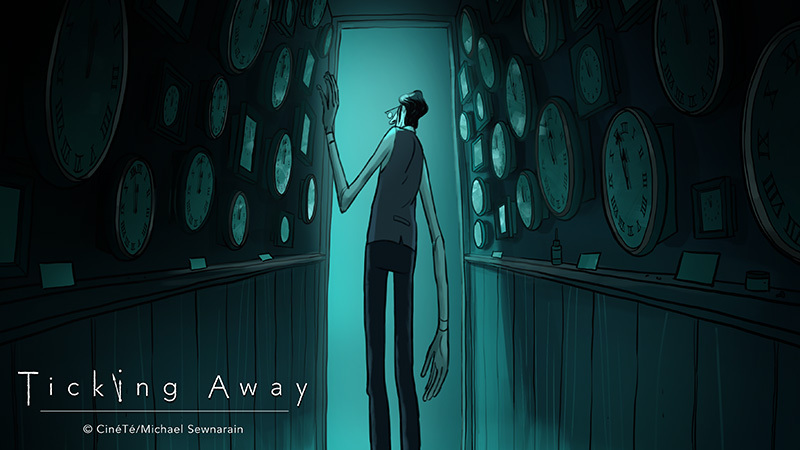 WINNER "Best Animation"! 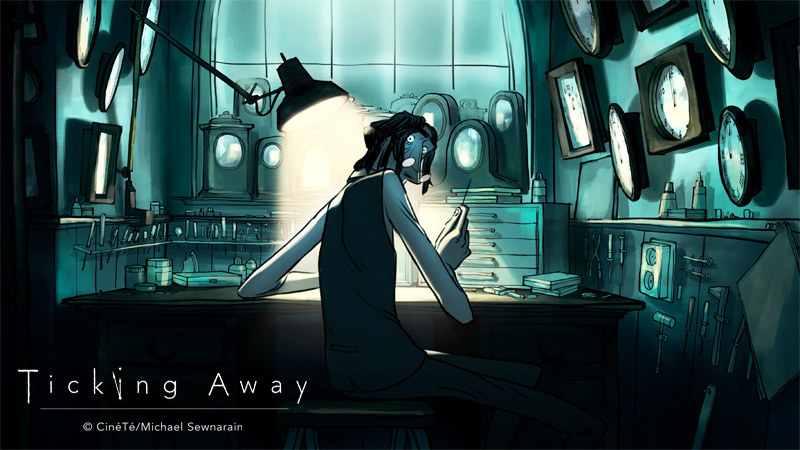 Snake Alley Festival Of Film 2016 - NOMINATED for "Best Animation Short"
Dublin International Animation Film Festival 2016 - WINNER "Best Soundtrack" & HONOURABLE MENTION "Best International Animated Short"
Zamoxis Short Film Festival 2016 - NOMINATED for "Best Animation Short"
A very nice article with some background info about Ticking Away on Animatieblog! Private preview for my friends from Mooves giving me feedback and advice on dramaurgy and storytelling.